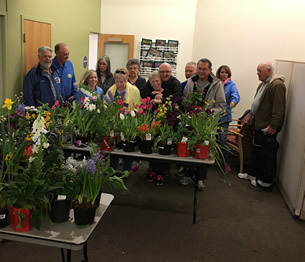 Broomfield Rotary delivers smiles & flowers! Posted February 18th, 2017 by broomfieldrotary & filed under News. 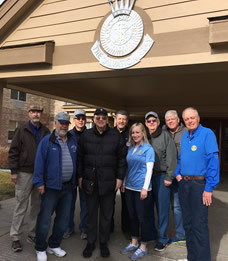 On Monday, February 13, members of Broomfield Rotary’s Evening Club delivered flowers to several of the Broomfield area assisted-living facilities. 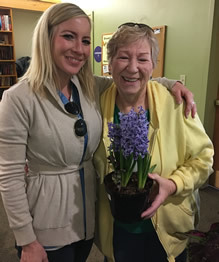 After a large donation of flowers by the Colorado Home and Garden show, almost 800 flowers and plants were hand delivered to residents of Maryell Manor, Silvercrest, the Salvation Army, and the Broomfield Senior Center. After seeing the delightful smiles on the faces of the seniors who were there to pick out their favorite flowers, there was no doubt it was the best way to spend the day before Valentine’s Day!